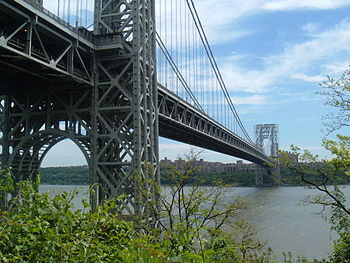 It isn’t often that a traffic jam becomes national news but that’s what has happened with some nasty delays at the George Washington Bridge. As it turns out, those delays were caused by some folks in the New Jersey Governor‘s office. Who those people are is the subject of a few investigations. This has been a big political story and you know we do NOT do politics here on the screed. However, as is often the case, there is an excellent business point to be taken from something that happened in the political world. The Governor – New Jersey’s CEO if you will – addressed the incident yesterday this way: “mistakes were clearly made.” That may be one of my least favorite expressions and he’s not alone in using it. You’ve probably heard business people do so as well – you for sure have heard other politicians. Let me explain why it’s terrible in business – you can draw your own conclusions for other uses. The language is passive. The object becomes the subject and the subject – the actor or person in this case – disappears. In the active voice, mistakes were made would be “I made a mistake” or whomever actually did commit the error would be identified and held accountable. We use the passive voice to avoid identifying the subject. That’s my issue. It’s hard to hold people accountable. In one sense it’s difficult as a person to force another person to admit they screwed up. It’s hard to punish them – it feels sort of like you’re treating them like children – especially if the screw-up leads to firing them. It’s hard in another sense – making sure of who was responsible. In my experience there’s almost always an outside agent – a co-worker who didn’t come through, a piece of erroneous information provided by a partner or vendor, a computer that failed – that bears some of the blame and caused the error. The easy road is let them all off the hook – mistakes were made. That’s the road to failure. It’s very possible to hold people accountable and let them feel free to make mistakes. If people aren’t failing every so often they’re probably not pushing the envelope. Part of that freedom to fail is the responsibility to admit the mistakes so they can be evaluated and prevented going forward. I think responsible business people put their hands in the air, admit they screwed up, explain how it happened and will be prevented, and everyone moves on. What’s not acceptable to me is when no one is to blame and nothing is learned. You? It is often the case in corporate America that if you “screw-up” you get fired. I did once see a major screw-up where the guilty party was not fired. The rationale was that we all mistakes, but if you fire the guilty party then all that person’s expertise and familiarity with the company is walked out the door. Perhaps it is better to keep the offender; at least until the next screw-up.